Did you know that children can have their eyes tested even before they are able to read? What’s more, they should be attending regular eye checks from this young age, to make sure that everything is as it should be. We have a range of childrens eye tests – using pictures rather than words for those of preschool age, and infants can even have their eyes assessed with no communication from them at all. Eye development occurs most rapidly during early-mid childhood, which is the time at which children are starting their education. Good eyesight is therefore essential to help them perform to their maximum ability at school and fulfil their potential. Children typically assume that their experience of the world is identical to that of everyone else. This means that they may not be aware of any difficulties with their vision, which is why it is so important that their eyesight is tested regularly by an optician who can detect these problems. The earlier an issue is identified, the more effectively it can be treated. You can be sure your child’s eye health is in the best possible hands at Walford & Round Opticians. Our optometrists have participated in screening tests at local nursery schools to ensure the health of all pupils, and have ample experience in providing interactive and fun eye tests to children of all ages. What do Childrens Eye Tests cost ? Eye tests for those under the age of 16, or below the age of 19 and in full-time education, are funded by the NHS so you won’t have to pay a penny. If your child requires eyewear following their sight test, they will also be eligible to receive a voucher that contributes to the cost of this too. 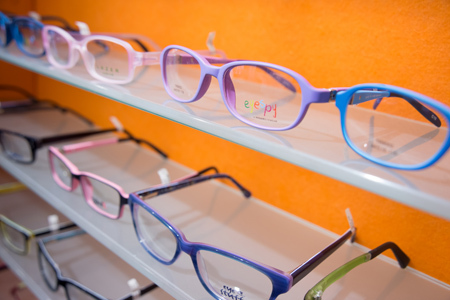 Your child will be able to choose from a range of eyewear in practice, depending on their lifestyle, hobbies and personal preferences. Sporty or particularly active children may prefer contact lenses to glasses; daily disposable ones are often the most appropriate choice but your optician will be able to advise on this. Don’t forget that your children’s eyes also need enhanced protection in the sun. The average child has had more than half of their total lifetime UV exposure by the age of 18, so it’s important that their eyes are not damaged by the harmful effects of this UV light. 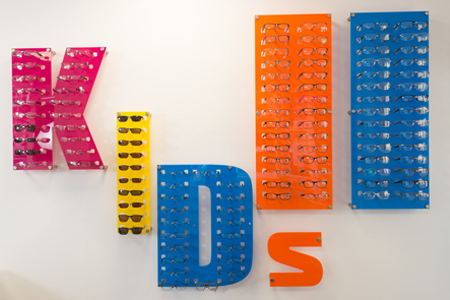 At Walford & Round Opticians we offer a range of UV-blocking children’s sunglasses, which can include your child’s prescription if necessary, to make sure your little one stays safe in the sun.